Former coach Todd Kelley has used his experience in athletic training to developer the V9 Jaguar release device for speed training. The Eluminator is a resident company at our Mansfield location. They are the manufacturer of LED emergency warning lights. The Eluminator Series system is the latest in LED technology offering High Brightness Output with Low Power Drain and Low Heat Buildup. The Slim Line, Waterproof design allows for easy mounting inside or outside of a vehicle. F&F Bearing Company is a resident company at our Mansfield location. They are also a client of the Appleseed Micro-Finance Program. F&F is a distributor of power transmission equipmentIn the United States. F&F Bearing Company stocks a line of power transmission belts designed for industrial and agricultural applications. Today, their warehouse holds over 100,000 belts in inventory with plenty of flexibility to serve their customers' needs. 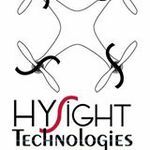 HYSight Technologies, a resident at our Mansfield building, is a leader in bringing UAV's - "Drones" to mainstream, local, state and commercial use. They offer consultations to agencies, companies, and municipalities that would benefit from utilizing this technology, and our specialized UAV pilot training. Their founders have extensive backgrounds in UAV operations and flight training - including being certified FAA pilots. Hess Industries spent many years as a resident company and then spent five years as an anchor tenant of our Mansfield Building. They are a full service tool and die shop specializing in building and repairing Progressive and Transfer Dies. Their specialists have over 65 years of aggregate experience working in various tool and die production situations with simple and complex dies. InfoGPS is a resident company at both our North Canton and Mansfield locations. They are also a recipient of Braintree's Third Frontier grant, the Appleseed Micro-Finance Fund, the Innovation Fund of Lorain County Community College, and the Impact Angel Fund. This software company has disrupted the traditional IT Risk and Security markets by providing a holistic view of networks, using Data as the foundation. From their two nodes at both Braintree's locations in Mansfield and Canton, as well as personnel on-site in Chicago, they serve all of North America's cyber security needs. KnowledgePost is a resident company at our Mansfield location and is a recipient of Braintree's Third Frontier grant and the Innovation Fund of Lorain County Community College. They developed a website that helps learning buyers find the right professional learning by connecting them to the right learning providers. LapKeyBoard is a resident of our Mansfield Center and a recipient of Braintree's Third Frontier grant. They are focused on innovative and newly patented design platforms for ergonomic keyboard usage. The first was product created in response to the need for greater comfort and convenience for Keyboard users, especially those who use a desktop or laptop for extended periods of time. The product is available at Amazon.com. Local Ad Software was a resident of our Mansfield program and a recipient of Braintree's Third Frontier grant. They changed the way people shop by developing mobile based coupon platforms to help local coupon publishers jump into the digital marketplace. They were then acquired to become today's Localynx. Localynx is a graduate of our Mansfield residency program and a recipient of Braintree's Third Frontier grant. The LocaLynx app helps consumers find what they are looking for in their community. Looking for a cleaning lady? Find it on LocaLynx. What about a doctor or realtor? LocaLynx can help. What's for dinner? LocaLynx has options, menu’s and savings! NytStnd is a resident company at Braintree's Mansfield facility. They are the manufacturer of charging stations for all of types of phones and devices. They organizedevices in a presentable fashion for ease of use and decoration. 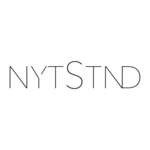 NytStnd products are available online and on Etsy. Ohio Toner Cartridge is a longtime resident of Braintree's Mansfield building. They sell new, compatible and remanufactured laser toner cartridges used in printers, copiers, and fax machines throughout Ohio. 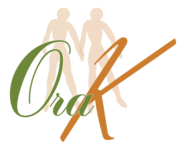 Ora K Beauty Products is a client of the Appleseed Micro-Finance program. They have perfected a line of special – blended formulas for Hair Growth applications, lotions, and shower gels. Ora Kay Eatmon developed today’s lightweight formula, but the tradition began many years ago. Ms. Freddie Mae Davis lived and worked on a plantation in the 1800’s. During the Reconstruction Era, she created a hair ointment for her children. This special grease was used for scalp problems and hair loss. The word got out about Davis's secret hair care regimen and soon others were using it too, combing through a thicker and healthier mane. The recipe remained in Ms. Davis's family for generations. Ora Lee (the daughter of Freddie Davis) handed the formula down to her granddaughter (Ora Kay) who figured out a way to lighten the formula and make it available for all hair types. She also worked with a team of chemists to develop a complimentary skincare line. Right Time is a resident of our Mansfield building, a recipient of a Braintree Third Frontier award and the Innovation Fund award from Lorain County Community College. They have developed a mathematical system that measures offender rehabilitation efforts in real-time and produces computer-generated, evidence-based, prioritized rehabilitation plans that can be used to achieve successful rehabilitation outcomes. Rotunda Scientific Technologies LLC resides in our Mansfield building and is a client of the Appleseed Finance Fund.focused on serving the field of external Dosimetry and Health & Medical Physics in the areas of external radiation measurement and monitoring. Our goal is to provide innovative products and consulting services where there are industry voids that are too small for medium & large companies to address. Our company distributes innovative products, consulting services and training. An innovative medical device product company whose signature product is a water resistant sling for post-shoulder surgery patients. Solutions in Polycarbonate is a graduate of our Mansfield residency program and a client of the Appleseed Micro-Fiancne program. Now in Medina, they are a manufacturer of unit skylights and window systems using advanced materials incorporating polymer-based glazing panels. They serve the needs of a new breed of energy conscious architects and building designers. Formerly a resident of our Mansfield program, TextLoyal brings the power of Text Marketing to small and big business alike! They can help a company build their own customer list and market to them in the most effective ways possible. With new advances in technology, Mobile Marketing is now easy and affordable for businesses of all sizes. No other form of advertising gets a greater return on investment than Text Marketing!